Iced coffee and frappuccinos are one of my favorite drinks for summer. This Kahlua Frappuccino has a delicious, creamy texture and an easily customizable flavor. 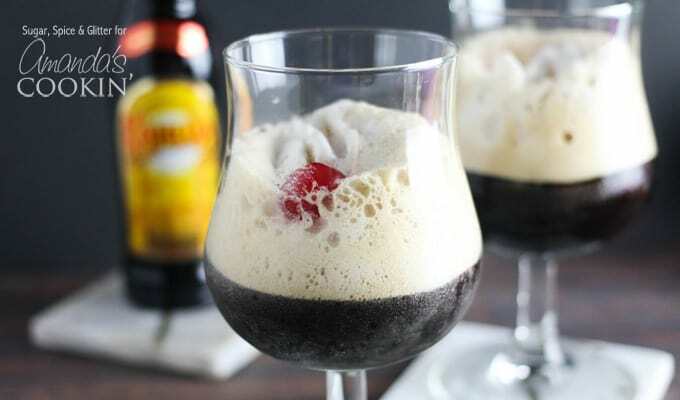 They are the perfect summer cocktail if you’re a fan of Black Russians or specialty coffee drinks. 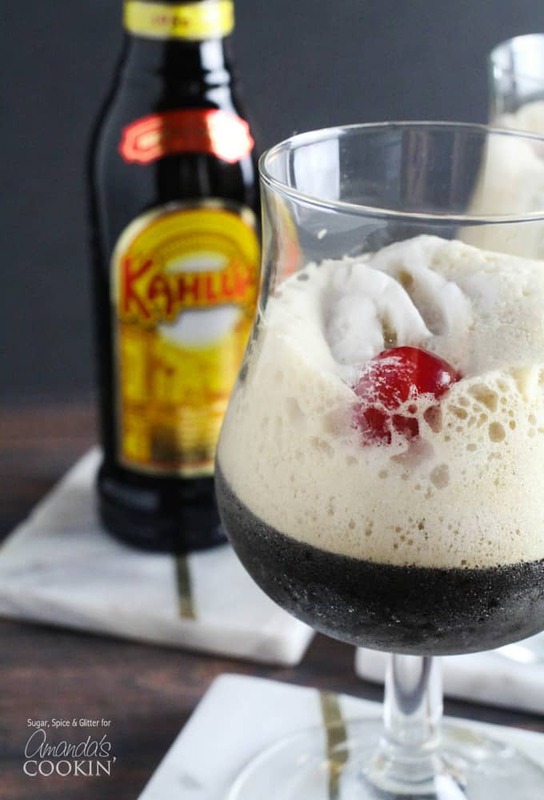 These Kahlua Frappuccinos take a little bit of forethought in that you need ice cubes (preferably made of coffee) to make them. 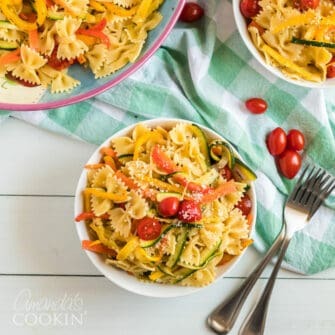 Other than that, this is a very easy recipe with wonderful results. If you serve them to guests, be prepared to make more! You can easily customize the flavor of your frappuccino by adding whipped cream and ice cream syrup, or your favorite coffee flavored syrup. You might want to play around with turning my homemade mocha frappuccino into an adult beverage too! Kahlua enhances the coffee flavor without interfering with any additional flavors you add. If you would like to make a fruit flavored Kahlua Frappuccino, you might find inspiration from my Easy Strawberry Frappuccinos and use frozen fruit in place of the ice cubes. *If you’re concerned about drinking coffee later in the evening, you can substitute decaffeinated coffee for this recipe. 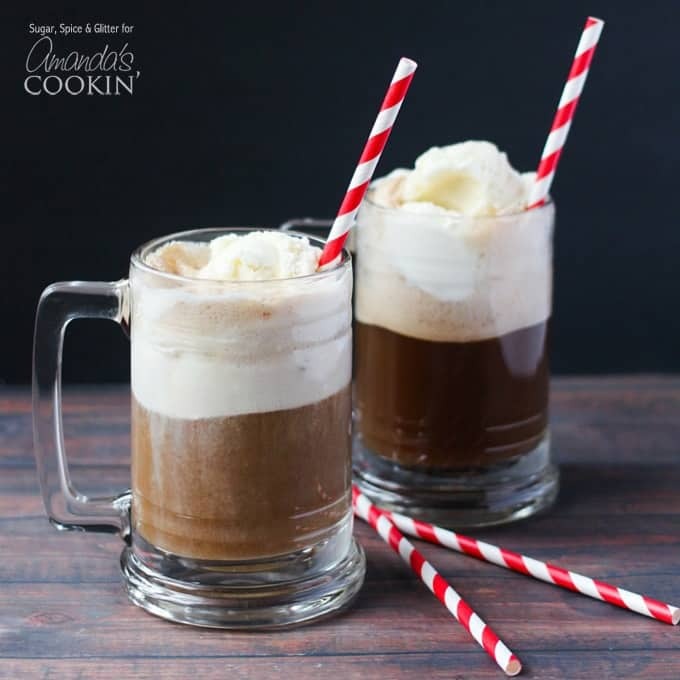 These Kahlua Frappuccinos are a summer standby, bridging the gap between fun coffee drinks and a cool summer cocktail – letting you have the best of both worlds! If you are a fan of frothy cold drinks for summer, this coffee maker is right up your alley! 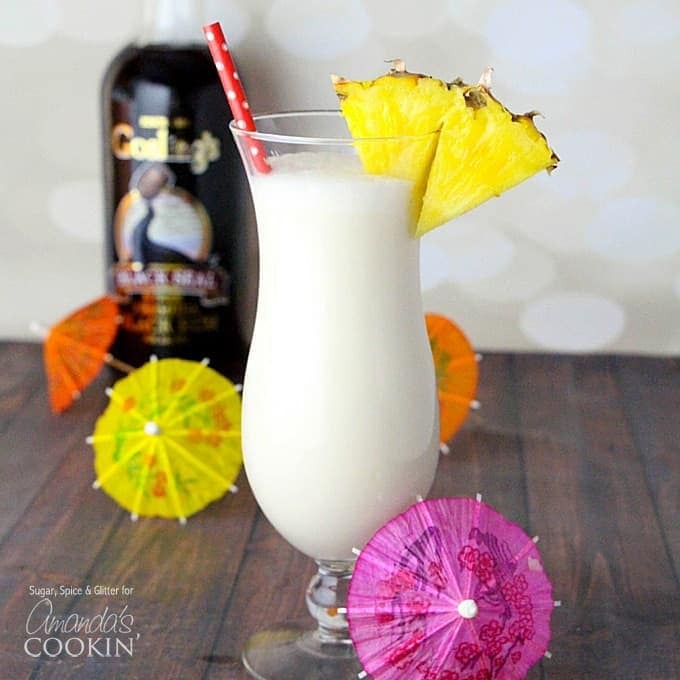 Nothing says “summer cocktail” like a Pina Colada. But this is the real kind, not one made with a bottle mix! Blue drinks are pretty popular these days, and they look perfect sitting next to you at poolside! 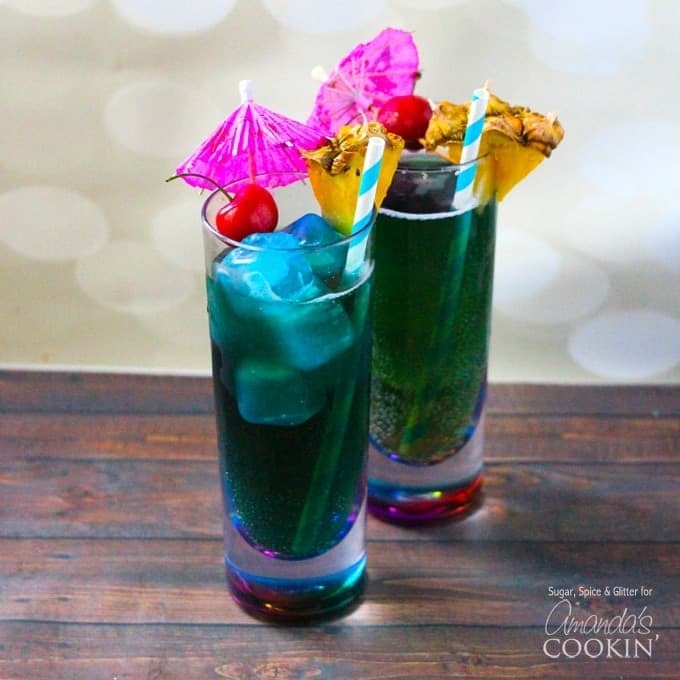 Try this Blue Mermaid Cocktail this weekend. Make the coffee ice cubes at least 2 hours before you plan to enjoy these frappuccinos. Plain ice cubes can be substituted in. Add the ice cubes and cold coffee to a powerful blender. Puree until no large bits of ice remain. Portion into your serving glasses and top with 2 oz each Kahlua. 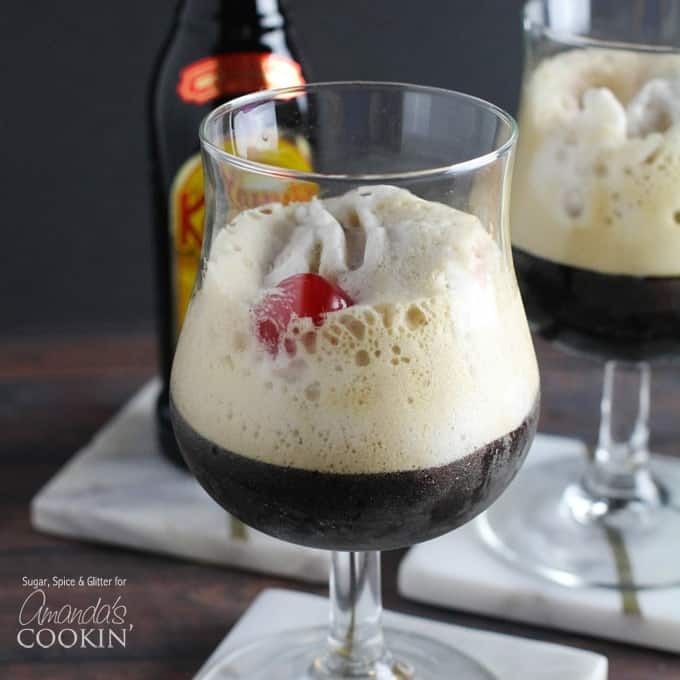 Add flavor syrups, whipped cream, cherries, or additional garnish as desired.